Our morning started early as we headed down the coast, crossing into California (stopping to take pictures of course). Our first stop was the Trees of Mystery, which is located in the center of the National Redwood Park. 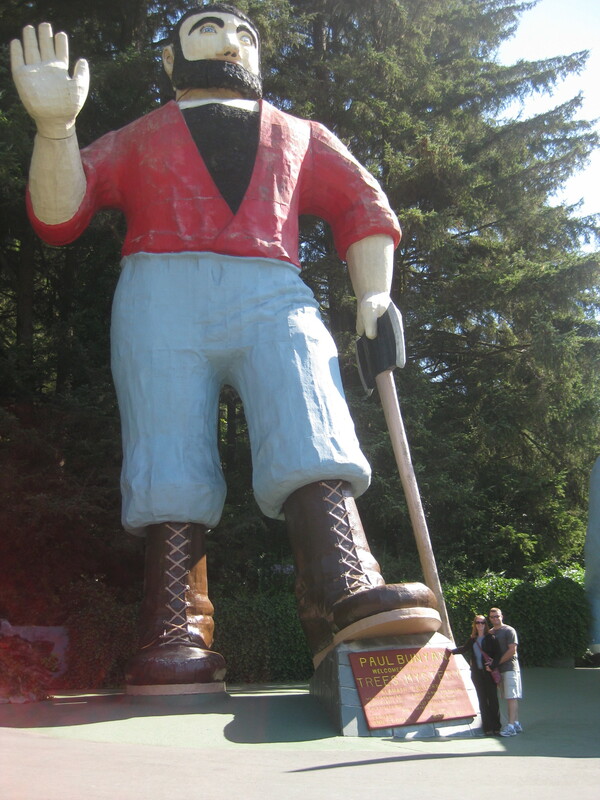 Visitors are greeted by a statue of Paul Bunyan, standing at 49’ 2” and a 35-foot statue of Babe the blue ox (Paul Bunyan actually talks and waves, which is a little unnerving when you first arrive and hear this random loud voice greeting “the great looking couple walking toward” him). Paul Bunyan greeted us at the Trees of Mystery! 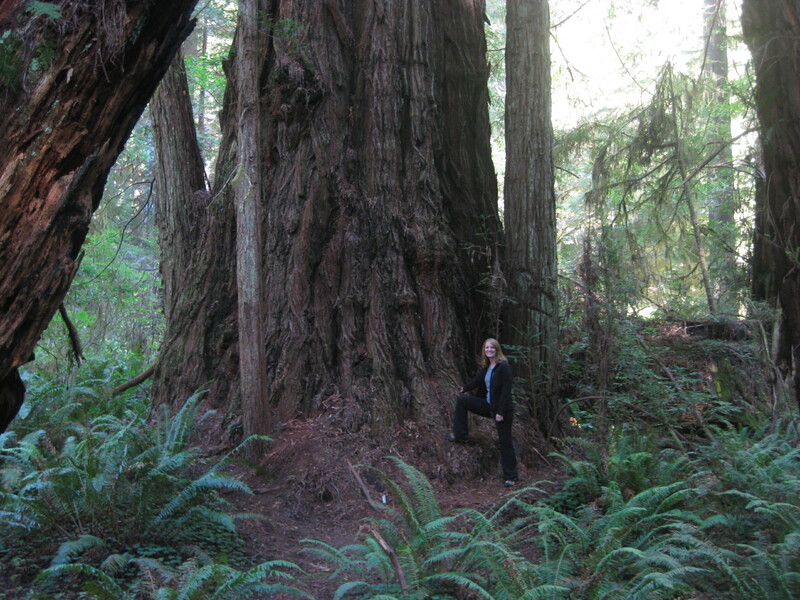 The Trees of Mystery is an interpretative trail through the Redwoods. These aren’t “just trees.” These are spectacular, awe-inspiring, TALL trees. One example: The Brotherhood tree, named for the hope for the brotherhood of man, is estimated to be over 2,000 years old and measures 19 feet in diameter, 60 feet in circumference and 297 feet tall! We took a ride on the Sky Rail, which is a rail car that takes passengers 1,570 one way (up or down) so you can observe the Redwoods from above the ground (it’s 742 feet at the top). I don’t typically care for heights but wanted to experience the view from the top so sucked it up and took the 11-minute ride (going down was much easier). Thankfully Justin and our travel companions were very sweet about my fear of heights and distracted me until we were on solid ground! The end of Trees of Mystery is dedicated to the legend of Paul Bunyan, the larger than life logger. Pretty amusing. Do you see why I felt small next to this magnificant tree?? –The root system of the Redwood is very shallow, having to tap root. So the earth around the tree must never be trampled or the tree won’t receive nourishment. –Redwoods once covered most of the earth. The Ice Age destroyed most of them except in the Sierra Nevada and the Pacific Coast. –Redwood bark chars into a heat shield when exposed to fire.